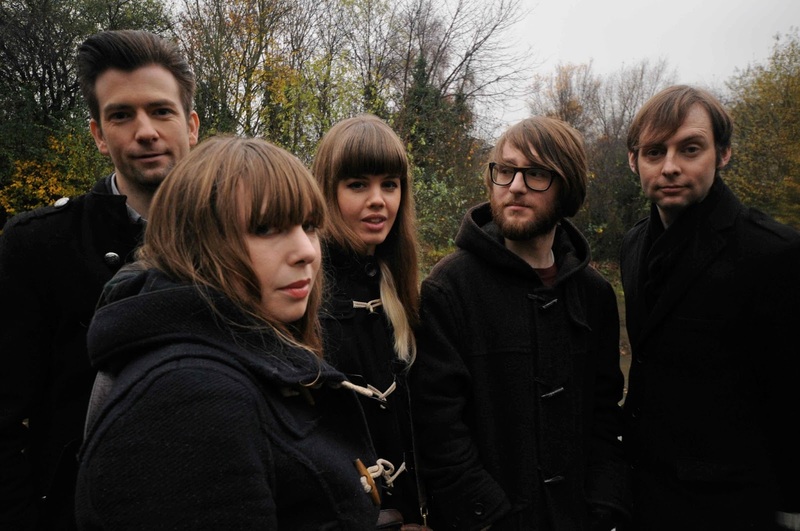 Cosines are a mathematical pop band from north London. Simon Nelson and Alice Hubley met on the London Underground after a Stereo Totale gig in 2009. Two days later Simon was round Alice's house unblocking her kitchen drain. Since then Simon has been round and put up two curtain rails, a blind and a shelf. This unlikely meeting, got them talking and once the DIY was done they started making music together, fusing metronomic pop sensibilities, 60's grooves and krautrock noise. What you maybe would get if you mix Love, United States of America and Stereolab. The band were completed by Daniel Chapman, The Late Jonny Drums and Kajsa Tretow. The band are currently working on a debut album and consequently doing less DIY.